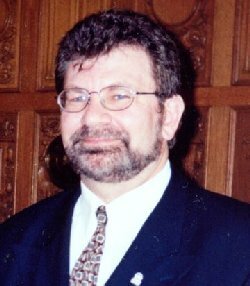 Dr. Beaulieu received a Bachelor of Science in Electrical Engineering from the University of British Columbia, then subsequently his Masters and PhD at the same institution. He is currently Professor in Electrical and Computer Engineering at the University of Alberta. He also holds the iCORE Research Chair in Broadband Wireless Communications, and also the Canadian Research Chair on Wireless Communications. Dr. Beaulieu began his teaching and research career at Queen’s University as a Queen’s National Scholar. He has continued this connection closely as an Adjunct Professor in Electrical and Computer Engineering, and in Mathematics and Statistics, in addition to his appointment at the University of Alberta. He has given extraordinary service to international engineering organizations. He is the only resident Canadian to hold the position of Editor-in-Chief of the world’s premiere research journal in communications, the IEEE Transactions on communications. This appointment emphasizes his esteem and reputation in the international research community, where he has been asked to serve two terms. Under his leadership the journal has prospered, with the number of submissions increasing each year, and the Editorial Board expanded to 80 numbers. A second area where Dr. Beaulieu has had a major impact on both the national and international level is his profound and prolific contributions to the field of wireless communications. His work ranks in the highest echelon of the field, where he has made not only theoretical and practical contributions, but opened lines of research that others have built upon. This is highlighted by his leadership in the iCORE Wireless communications Laboratory he has built in Edmonton into one of the strongest communication research centres of the world, attracting student and researchers from the US and offshore. He has put Edmonton on the map in Wireless Communication. And one small fact that can be taken with pride - - when the IEEE in their 90th anniversary year decided to reprint the classic paper by Henry Nyquist in the Proceedings of the IEEE, who did they ask from among all the electrical engineers of the world to do the introduction? Naturally, Dr. Norman Charles Beaulieu! Much of his work in these areas is focused on problems and theories that others were not able to advance. It is easy to recognize, Ladies and Gentlemen, why Dr. Beaulieu has had such a profound impact on his university, the City of Edmonton, and the field of wireless communication. Tonight the Engineering Institute of Canada wishes to recognize and encourage the talents and work of one of Canada’s top engineers.